We are a professionally managed organization manufacturing and exporting a wide range of high quality lead tin anode and solder wire made from precious metals and alloys. 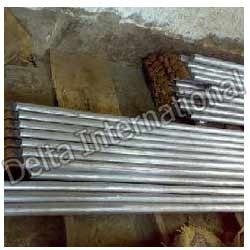 We have expertise in sourcing much industrial input to cater the various requirements of our buyers. We deliver these lead tin anode and electrochemical components at reasonable price within a short time frame. Looking for Lead Tin Anode ?